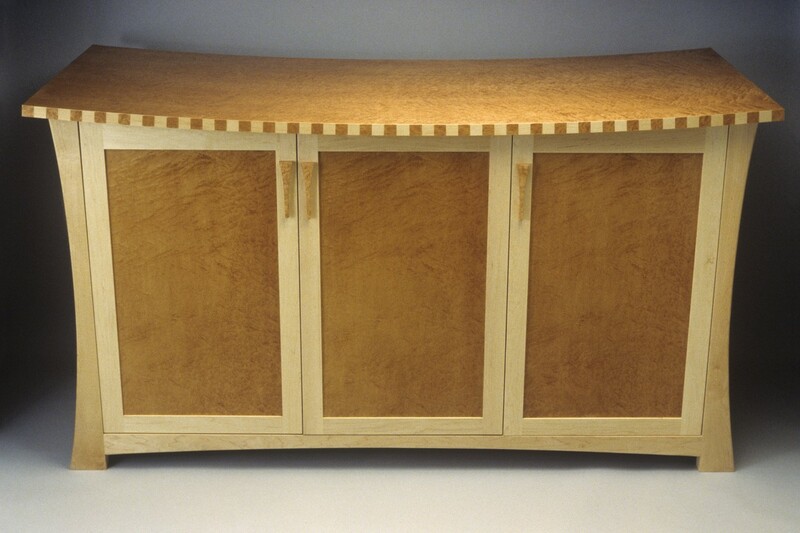 The Trungale Entertainment Center features an elegant combination of natural and dyed hardwood maple highlighted along the edge design, in the figured door panels and throughout the array of interior compartments. 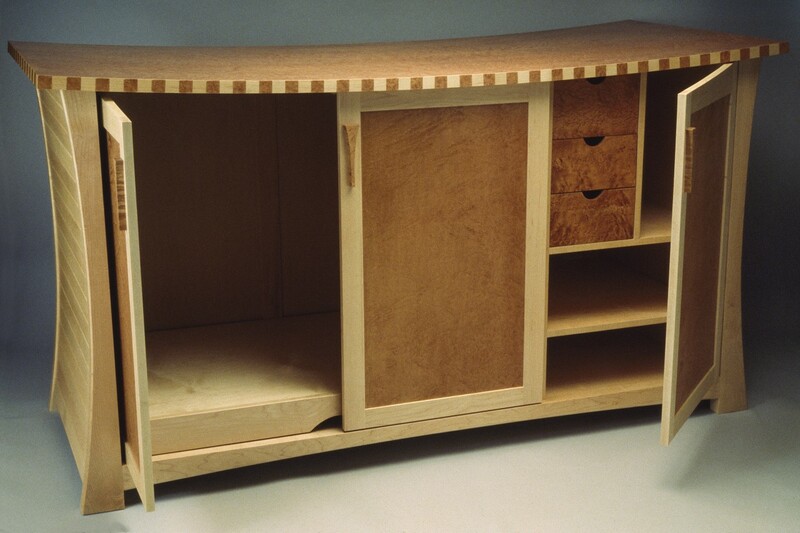 This piece was created to house a TV, electronic components and accessories so it featured retractable doors, a slide-out TV tray, and ample storage space. 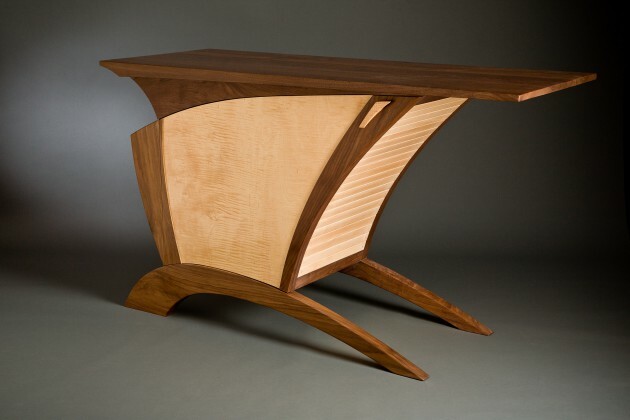 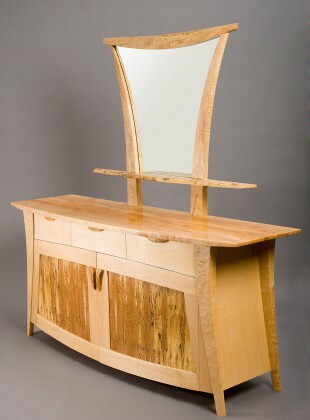 With a flat top it would make a great dining room buffet.